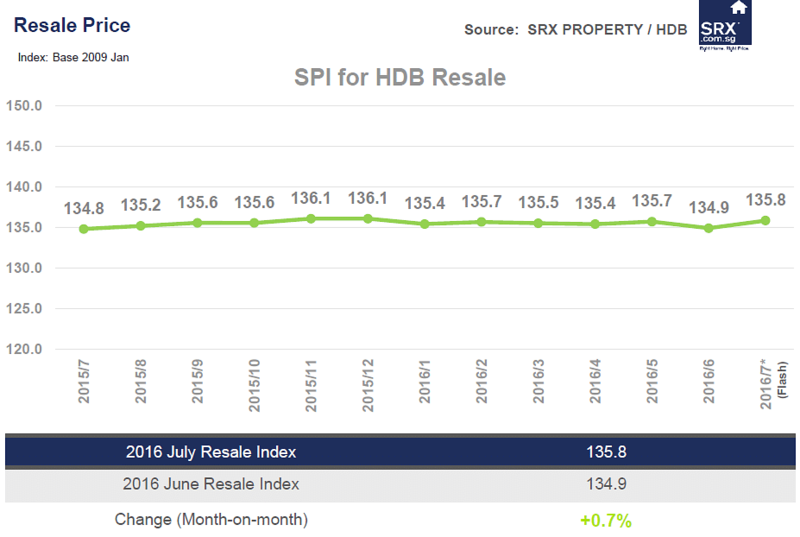 SINGAPORE - As the public housing resale market continues its long stabilisation, prices rose by a marginal 0.7 per cent in July, a reversal of June's 0.6 per cent fall, according to SRX Property flash figures on Thursday (Aug 4). But the number of deals dropped sharply with 1,573 flats changing hands, down 13.7 per cent from the month before. 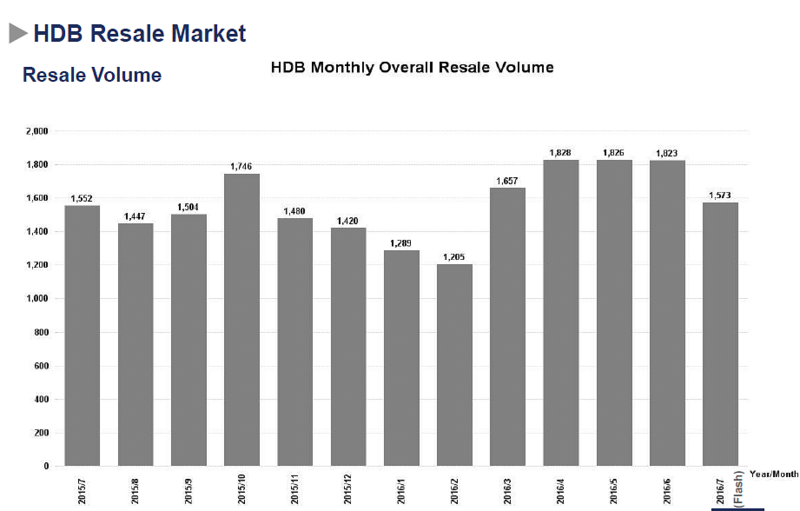 Nevertheless, this was still comparable to the 1,552 flats resold in July 2015. Prices rose across most flat types, with increases of 0.6 per cent for three-roomers, 0.3 per cent for four-roomers and 0.5 per cent for five-roomers. But executive flat prices edged down 0.4 per cent. The price rise was also seen in both mature and non-mature estates, with increases of 0.8 per cent and 0.6 per cent respectively.